Small wood fired vase with green glass accents. 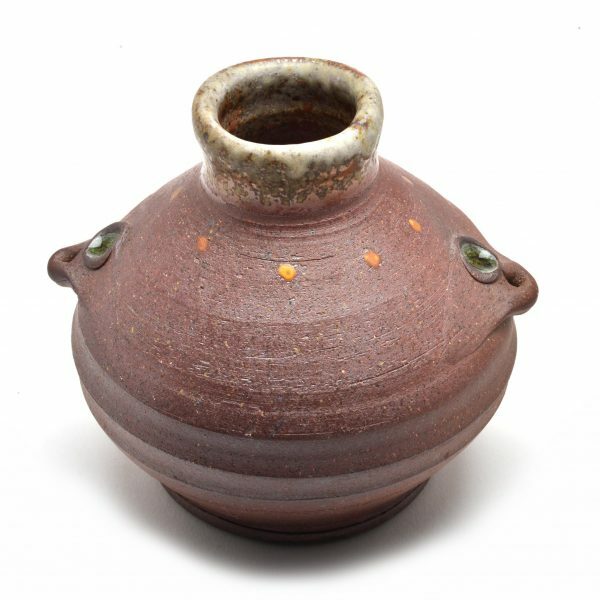 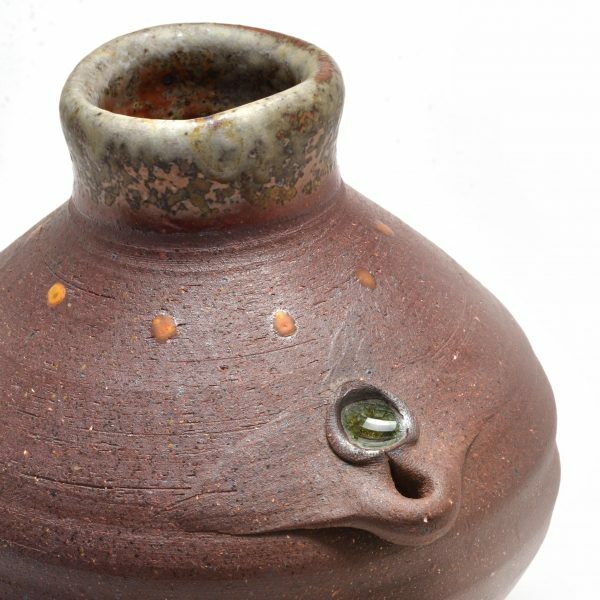 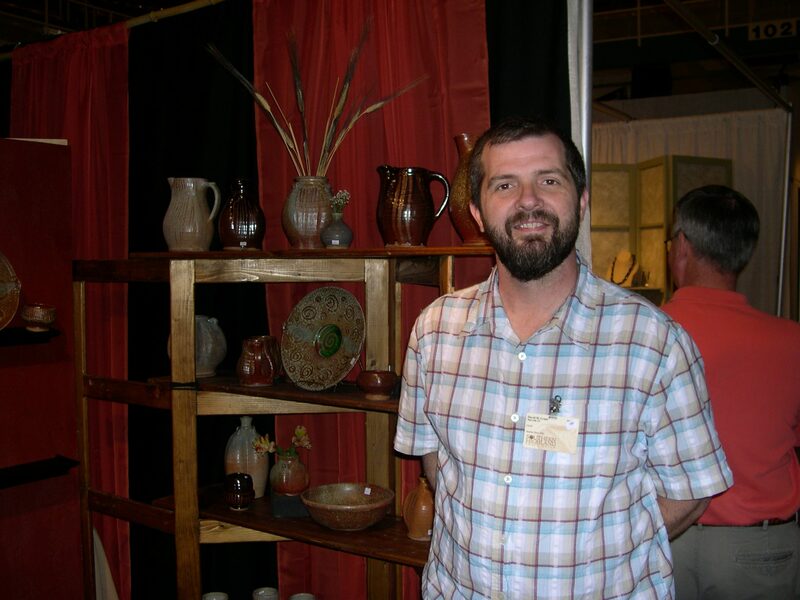 Artist David Grant creates a large collection of sturdy and functional pots with an organic surface. He fired all of his work in a wood kiln.